Ideal for replacing your existing filter applications for Other Series Models. The EZ-turn allows you to simultaneously connect up to 2 customized filters of your choice for superior water quality and taste. The Green Filter is simple to install. Wherever space is at a premium, the biodegradable Green Filter can be installed with little more than a push and click. The Green Filter offers an affordable, environmentally sound alternative. Compared to other filtration products, the outer housing is reusable and stays intact, with only the biodegradable filter media changed as needed. 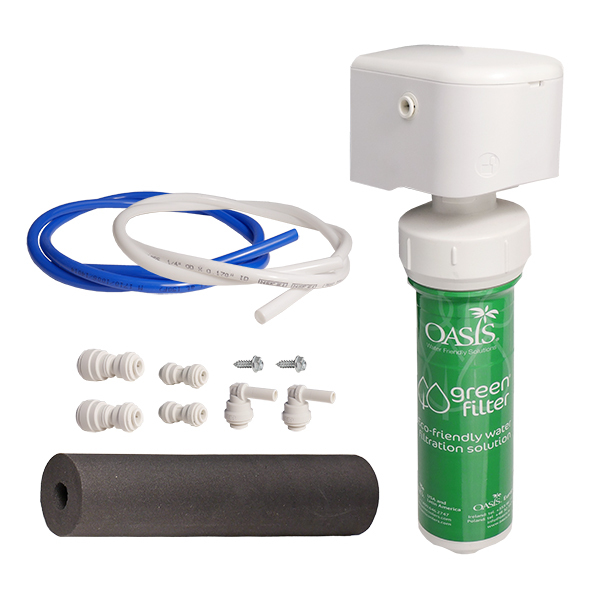 Compatible with most under sink filtration systems, coffee machines, refrigerators, drinking fountains, and POU water coolers.